Ryanair, Europe’s No.1 airline, today (15 Mar) announced its first Ukraine flights, its 34th country, with 4 new Kiev routes to Eindhoven, London, Manchester and Stockholm, and 7 new Lviv routes to Berlin, Budapest, Eindhoven, Krakow, London, Munich Memmingen and Wroclaw (starting from October), which will deliver 510,000 customers p.a. at Kiev and Lviv Airports. Ryanair celebrated its new Ukraine flights by releasing seats for sale at prices starting from just €19.99 for travel in October and November, which are available for booking until midnight Thursday (16 Mar). “Ryanair is pleased to announce that low fares have finally arrived in Ukraine, our 34th country of operation, as we launch 4 new Kiev routes to Eindhoven, London, Manchester and Stockholm, and 7 new Lviv routes to Berlin, Budapest, Eindhoven, Krakow, London, Munich Memmingen and Wroclaw, beginning in October, which will help deliver 510,000 annual customers at Kiev and Lviv Airports. 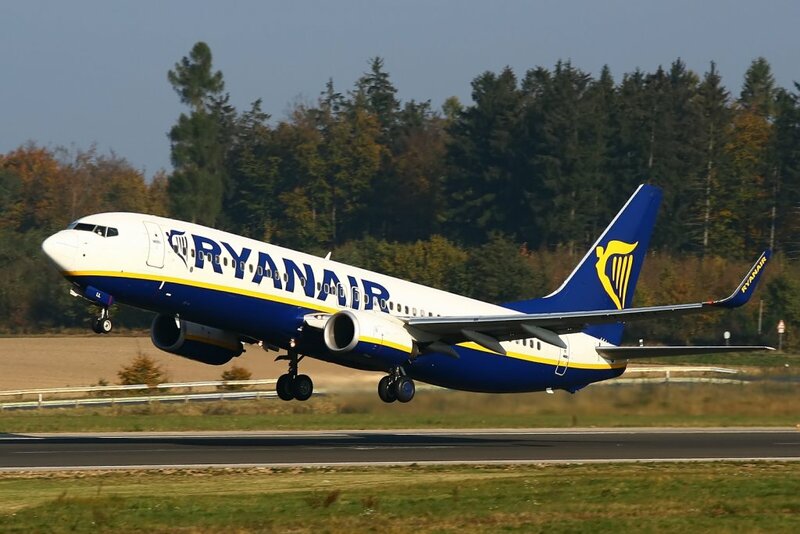 Ukrainian consumers and visitors can fly on Ryanair’s low fares this winter and we urge all customers who wish to book their flights to do so now on the Ryanair.com website or mobile app, where they can avail of the lowest fare air travel to and from Ukraine. “The arrival of Ryanair in Ukraine is without exaggeration, a remarkable event for Ukraine. Negotiations lasted for several years, and I am proud that our team was able to successfully hold them. Today we officially declare – Ryanair is in Ukraine! “Ukraine Danylo Halytskyi International Airport “Lviv” is traditionally considered to be a western air gateway to Europe! Therefore, we are extremely proud and happy to be among the first airports in Ukraine to host flights operated by powerful low-cost airline Ryanair, which now handles the highest volume of air traffic in Europe! With the air carrier’s entry into this market, citizens of Lviv will finally have the opportunity to fly on low fares to Europe, which is a great advantage over other airlines and a prerequisite for the development of competition in the air transportation market of Ukraine. Moreover, Ryanair’s launch of flights to Lviv is highly anticipated not only by its citizens, but also by the European tourists who have been waiting for the opportunity to travel to the city comfortably and inexpensively for a long time.